Your face is what people first notice about you, and for that reason it is very important to be confident about the attractiveness of your face. Dr. Joseph J. Fata at Renaissance Plastic Surgery in Indianapolis, Indiana strives to provide the utmost care and consideration to his patients throughout the entire process of facial cosmetic surgery. 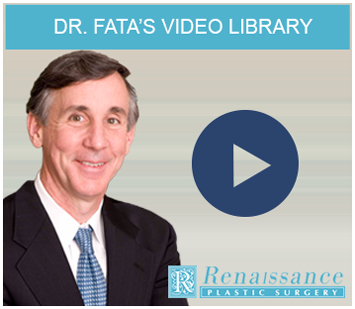 The following list contains the most common facial cosmetic procedures performed by Dr. Fata. The aging process begins the moment you are born and continues throughout your adult life. How rapidly a person ages depends somewhat on genetic background, and many women come to see Dr. Fata because of the concern that "I don't want to look like my mother... at least not yet"! Environmental factors, especially smoking and sun exposure, accelerate the aging process. Although aging is inevitable, board-certified plastic surgeon Dr. Fata and his staff can reverse some of the signs of the aging on your face and neck and place you in a position so you can age ever so gracefully. The procedures and technology available in facial cosmetic surgery are so effective that there is no reason why you should feel badly about the way you look or look older than you actually are. 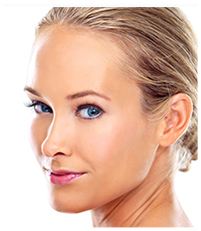 Renaissance Plastic Surgery has helped countless patients look and feel better about themselves and their appearance. Regardless of whether you are having a facelift or a eyelid lift, Dr. Fata and his staff will carefully and accurately assess your needs, and together you will decide what path to take to enhance your unique beauty. Each one of the facial cosmetic surgery procedures that Dr. Fata performs is designed to enhance or improve certain features or characteristics of your face. Renaissance Plastic Surgery is located at the junction of northern Indianapolis and Carmel, a central location that has allowed Dr. Fata to treat patients throughout Indiana and the Midwest. Please call 317-575-9152 or contact us online today to schedule an appointment. You can learn more about cosmetic surgery and non-surgical techniques to improve your appearance, and the solutions you have been looking for are just a phone call away.